because she's a very special person. wonderful sister, mother and aunt! followed by a nice slice of pie and hot cup of coffee! So, Aunt Laura, hoping to see you SOON! so you can put your Flutterby to good use. She looks so happy. I bet she uses it even if it is to hot!! I would say your butterfly quilt was a success. All the colors brighten her face. I am looking forward to her visiting also. She is one funny lady with a good heart. 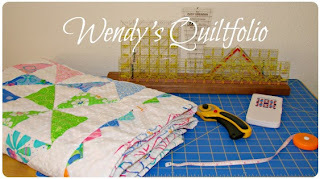 Beautiful quilt for a beautiful lady...flowers and butterflys are a perfect fit! 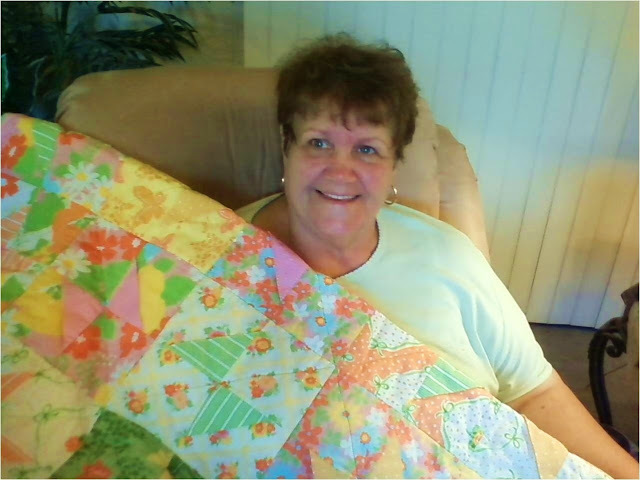 I am sure your flutterby quilt will be loved and cherished by your aunt Laura.